Design Burd Inc.Revive Health & Wellness | Design Burd Inc. 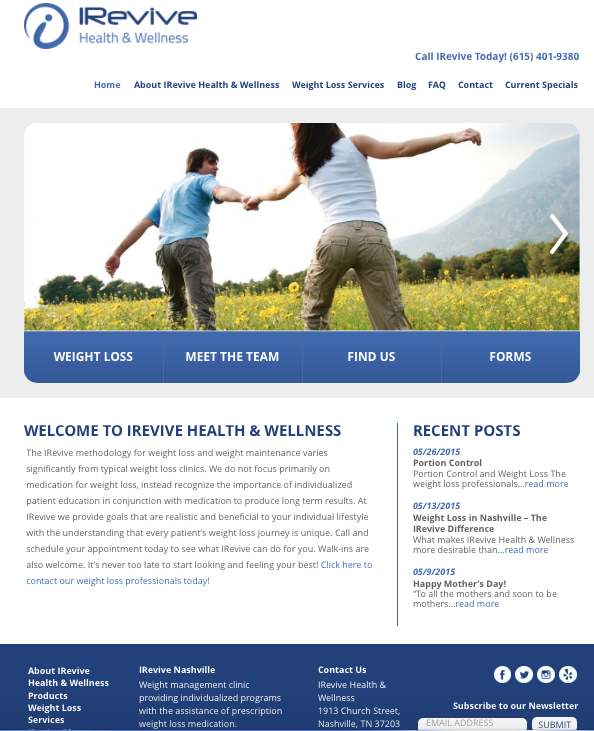 The IRevive methodology for weight loss and weight maintenance varies significantly from typical weight loss clinics. We do not focus primarily on medication for weight loss, instead recognize the importance of individualized patient education in conjunction with medication to produce long term results.